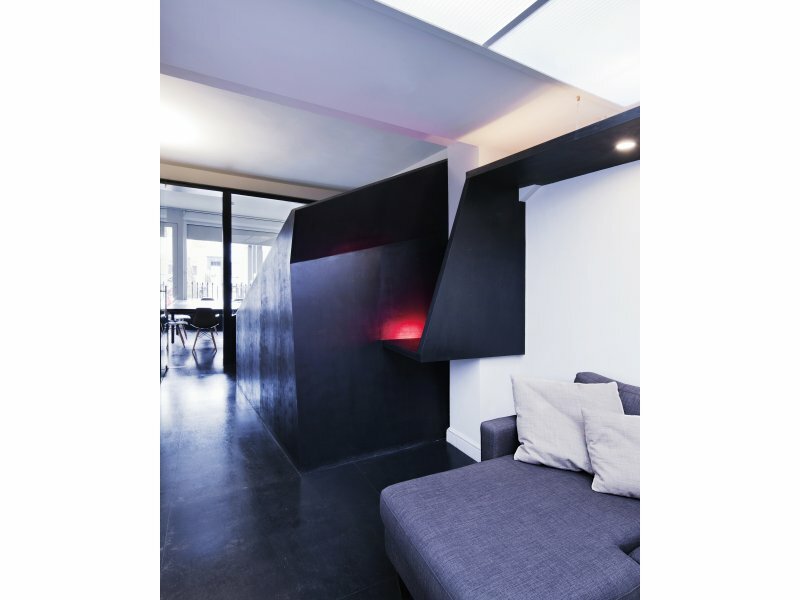 Award-winning designer Marta Nowicka was commissioned to create VFX suites, a reception area, meeting and production rooms and break out spaces for Cherry Cherry's new offices in London. 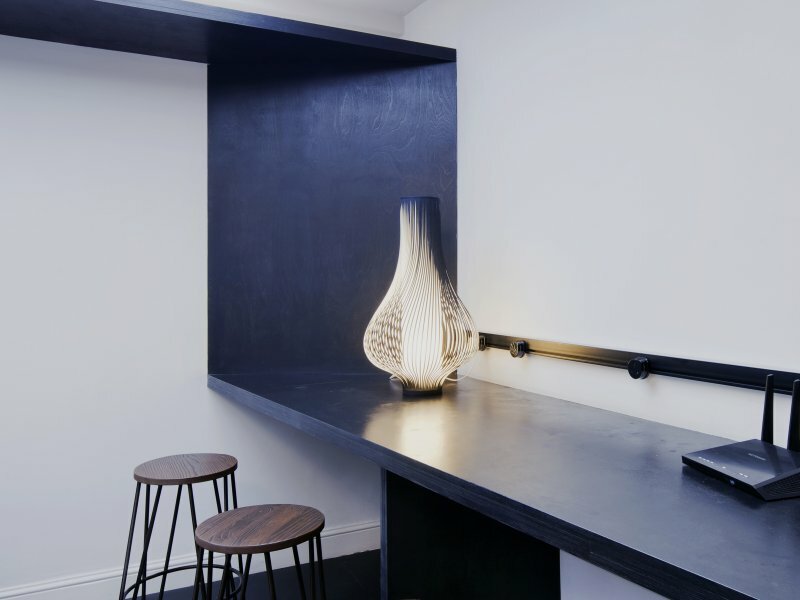 Award-winning designer Marta Nowicka was commissioned by independent post-production VFX boutique Cherry Cherry to design their new offices off Goodge Street, North of Soho and has created the longest bar in Noho. Noho is the place to be for film, advertising and creative industries. The interior brief was to create VFX suites, a reception area, meeting and production rooms plus brake out spaces for clients. The overall interior style follows the Cabinet of Dr. Calgary meets metropolis by Fritz Lang in Noho circa 2016! There is a rustic feel as you enter with exposed brick, existing timber floors and comfortable sofas and chairs which is then sharply contrasted by obtuse forms - triangles trapezeoids, angled walls and asymmetrical forms - devised by the undulating bar. The existing textures of the building have been maintained and where possible contrasted with the sharp new structures within the space. 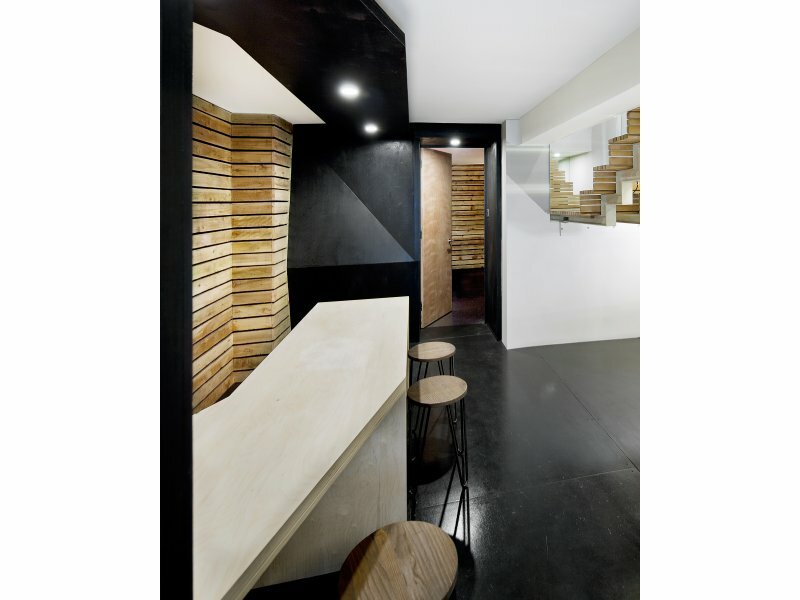 The continual undulating 'bar' strip creates a unity throughout the space with spatial nodules of habitation like the VFX suite and meeting space. Alongside the existing brick and timber floors, Marta Nowicka & Co have used plywood as a flexible material which could be worked precisely to construct the 'bar' and asymmetrical forms. Thus was then in parts stained black, part natural to define areas and zones. 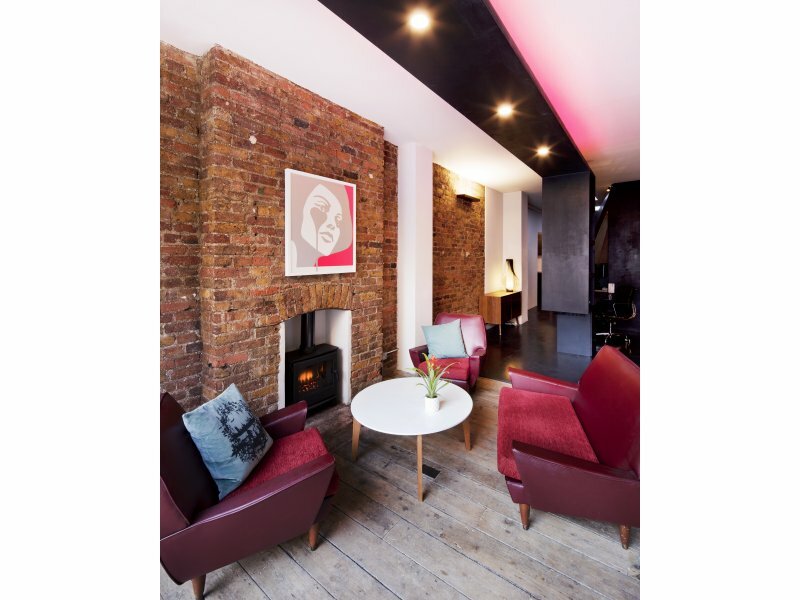 Marta Nowicka & Co designed Cherry Cherry's first offices in Smith Court, Soho 4 years prior as a direct result of Marta's extensive experience with post production houses namely Framestore (advertising and film offices) where she designed over 20,000 sg ft of new space. Cherry Cherry's new offices comprises of two Victorian shops which have been used as offices for several years. It was agreed between the client and the landlord to create one space by knocking down an adjacent wall making a 1700 sq ft space over two levels - reception area, VFX suites and meeting rooms on the ground floor followed by production rooms and brake out spaces for clients on the lower ground floor. The new plan responds to the site-specific spatial arrangement and client requirements. 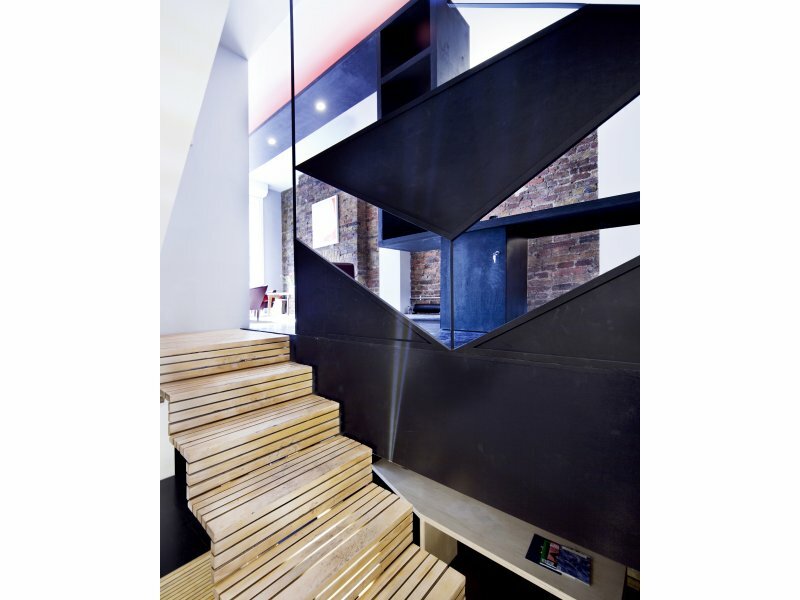 One office had been the HQ of leading building engineers Atelier One (now Atelier 10) which had a distinctive, and still existing, stair which featured on the cover of Blue Print Magazine. Marta Nowicka & Co had to knock two individual 'shops' together, luckily for them there was a small area of shared party wall at the rear where we knocked down the wall creating one large, linked space. This did mean consolidating 2 leases, 2 utility bills and re wiring to make it function as one space. We had an ambitious client with a firm budget so we had to marry, negotiate and manage their expectations to deliver the final results. With the area being famous for its bars and clubs, Marta Nowicka & Co was inspired to create the longest bar in Noho - a bar which undulates through the space for 52 linear meters creating a unified structure as a work bench, bar, canopy, light rig, door way and wall panel. Plus the asymmetric, angled walls respond to existing site conditions is a flexible, adaptive and playful manner. 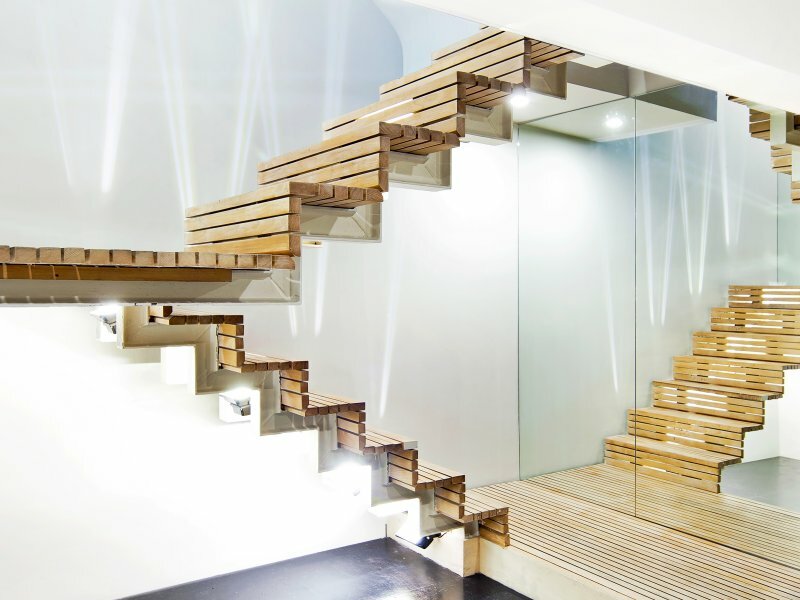 Its a unique spatial response to creating offices in an existing building with inherent limitations. 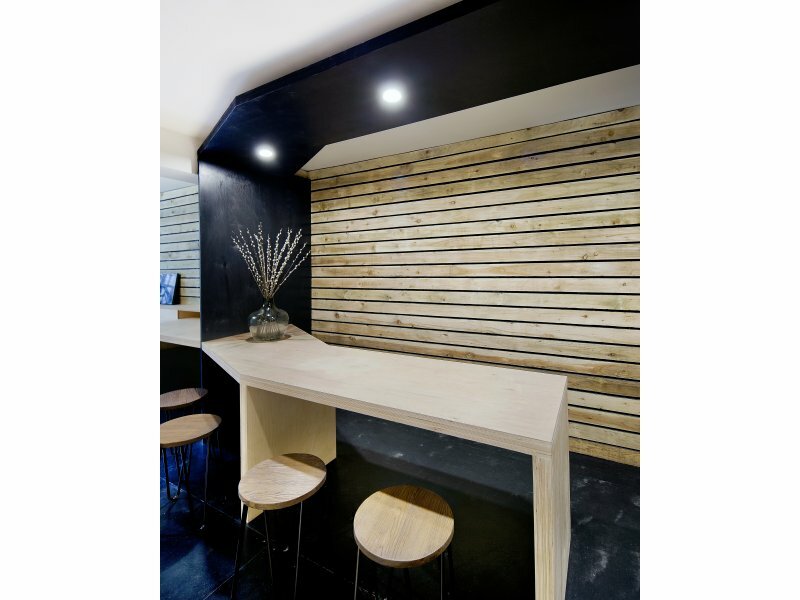 The fusion of forms and texture is a non commercial, bespoke solution for a small, characterful company. Builder - Pat Gill - Court Developments.